There were at least 30 grenade attacks in Malmo, Sweden in 2015. Malmo, Sweden’s third largest city, is 43% foreign born today. 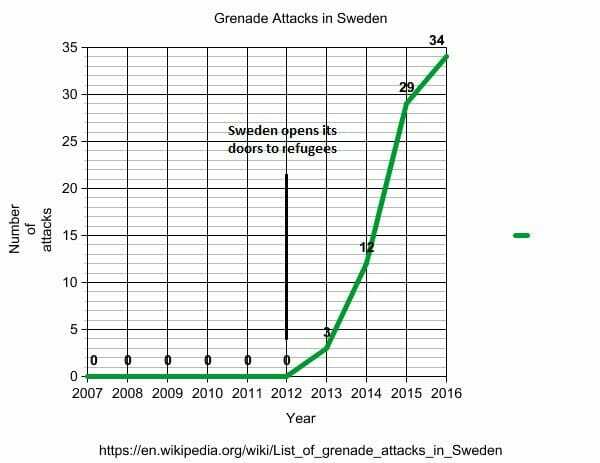 Grenade attacks have increased significantly in Sweden over the past decade as tens of thousands of migrants and refugees have been welcomed into the country. A grenade was found in a Malmo park Wednesday in Sweden. One of the ponds in Pildammsparken in Malmö has been cordoned off after police found a suspicious-sharp hand grenade into the pond. The discovery was made just before noon on Wednesday when the police were looking for the firearm that was used when a 53 year old janitor was shot in the head two weeks ago on Roskildevägen. For the assassination attempt is now a 15 year old boy in custody. Police would however find the weapon because it would be of great importance for the further investigation. Instead, it found thus a suspected hand grenade. Police writes on its website that the national protective bomb came to the scene to investigate the grenade. 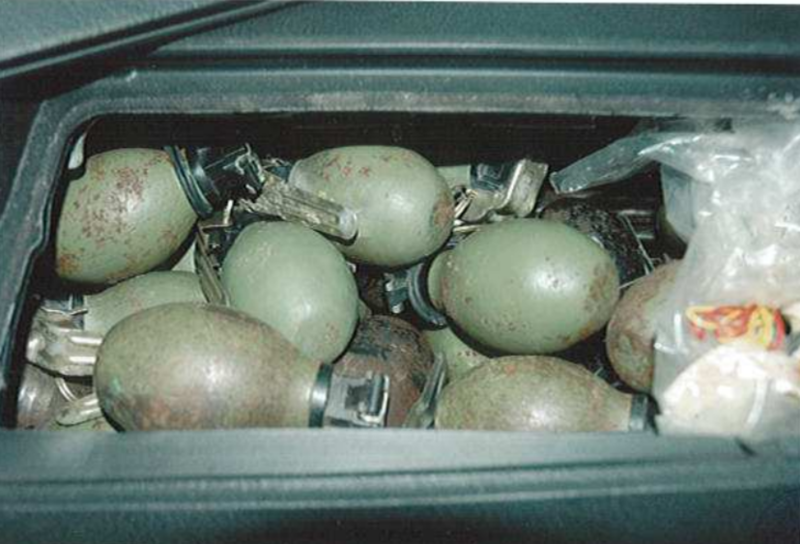 This grenade shipment was seized in Slovenia on its way to Sweden. A Somali man was killed in a grenade attack in Sweden earlier this month.